These gorgeous luxury cushions bring instant chic and vintage glamour to your home. They come in three sizes filled with either soft duck feather or plump poly padding. Choose from four distinguished gorgeous fabrics and design your own luxury cushions online using your photos, patterns or special messages. Whether your interior design preference is contemporary or classic, these luxury cushions in three sizes will instantly bring glamour to any room. 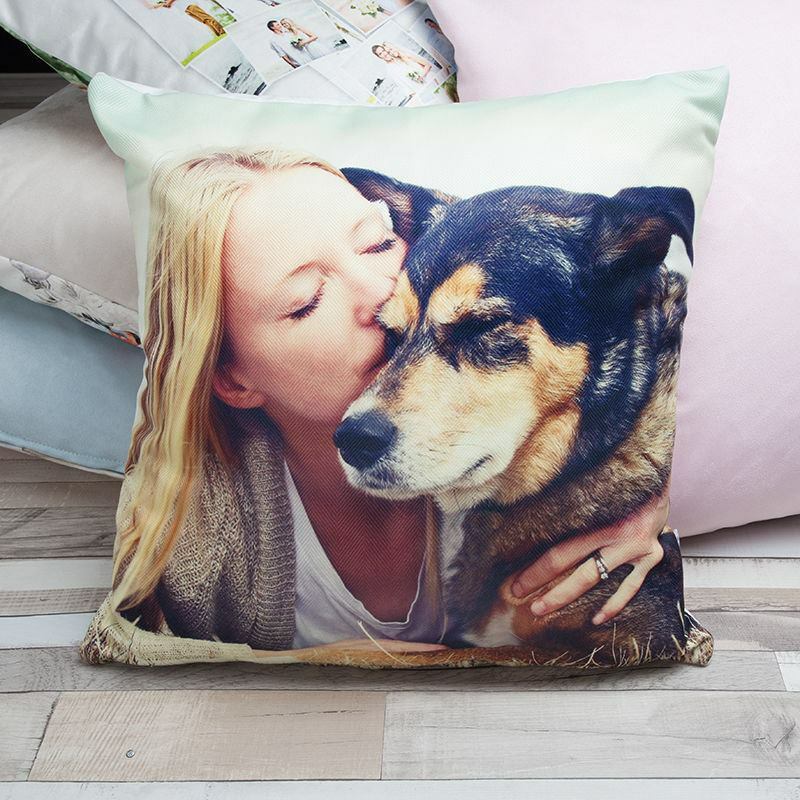 Printed with your unique photos in full colour, eco-friendly ink, they're a stunning home furnishing or a beautiful gift for a loved one. There's the option to print on both sides for all over style impact or choose from five colour options for the suede vision backing. Ordered a photo cushion for my nana, she was thrilled with it. The cushion was extremely good quality and it was delivered quite fast. Item was great quality and staff couldn’t do enough to be helpful. Great service and product! Quality was great, good print as well as very nice cloth. Communication was very smooth and fast. Would always order here again. Each of these chic fabrics have their own distinct characteristics, so you can create contemporary or traditional luxury cushions online. Not only do they look and feel wonderful, but they are easy to clean and care for too. These fabrics will make up the front of your cushion, while the back will feature our utterly luxurious suede vision fabric, which is also fire rated. If you opt to print on both sides, then the front and the reverse will be made from your chosen fabric. The choice is entirely yours. Mayfair: 269gsm. Herringbone weave. Spun yarn. Soft drape matt touch. Archway: 290gsm. Traditional weave with a brushed finish. Spun yarn. Very soft touch, strong body. Haverstock: 248gsm. Plain weave thick Linen look. Spun yarn. Medium crisp touch. Velvet Shimmer: 371gsm. Short, brushed faux velvet with shimmer. Luxurious nap. Care: Archway Brushed Twill, Mayfair Herringbone, Haverstock Linen Look - Remove the covers and machine wash at 30°c. Safe to tumble dry on medium, hang to dry and iron on a low heat. 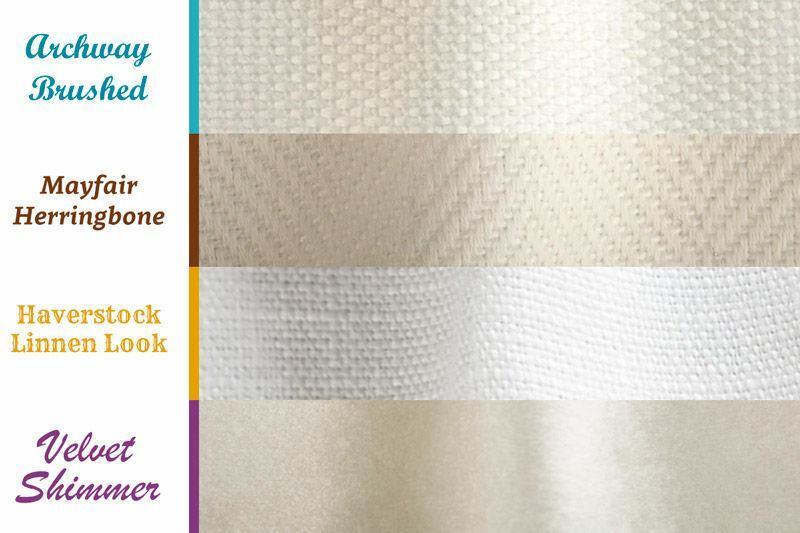 Care: Velvet Shimmer - This fabric needs a little extra care and attention. Remove the cover and machine wash at 30°c. Do not tumble dry. Instead, dry flat, and brush the face once dry to keep the fibres nice and soft. Design two luxury cushions, and get a third one for free. Just add all three cushions with the same or different design to the basket and the discount will be automatically applied. Design your own luxury cushions online today and enjoy home furnishings that have a personal, sentimental touch. Handmade to order in London, UK, by our expert seamstresses, they really know how to make your cushions luxury. Using a specialist printing process that fuses the ink deep into the fibres of your chosen fabric, the print is rich, vibrant and more important, long-lasting. Even after washing and daily use, your design won't crack or peel. This printed fabric is either stitched together to the suede vision backing in your choice of colour (soft pink, pale blue, ivory beige, white or grey) or attached to another piece of printed fabric if you've selected double-sided printing. Our seamstresses fill the cushion with either duck feather or poly padding - both are equally soft - and sew a zipper into the seam. This is either a plain zip or finished with an elegant heart pendant, it's up to you. To create the ultimate stylish home, print your luxury cushions with a gorgeous abstract design. Choose the velvet shimmer so that it glistens in the light, a truly stunning effect that oozes elegance. For a cushion that has more traditional character, choose the herringbone or archway brushed twill and print a retro photo or design. The distinct weave is visible on the surface, adding a beautiful authentic charm. This is perfect for vintage lovers or if you're creating a certain aesthetic in your home. These make stunning housewarming gifts, so treat the newly moved couple or family to a nostalgic set of luxury cushions they can keep forever. Print a picture of their new road sign for a sentimental touch, or choose a family photo that brings back memories.